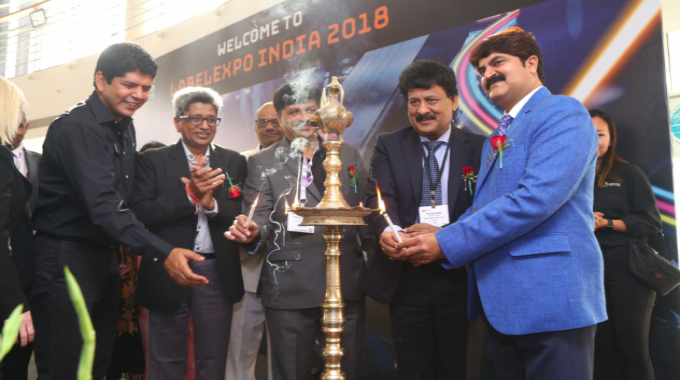 The sixth edition of Labelexpo India, which took place at India Expo Centre & Mart in Greater Noida on November 22-25, 2018, was the largest Labelexpo show to date in the region. A total of 9,851 visitors from 55 countries passed through the doors over the four days of the show, 22.7 percent more than in its last edition in 2016 and the biggest visitor increase to date. It was a landmark event too in terms of the technology on display, and the number of deals – for high-level equipment – made on the show floor. Lisa Milburn, managing director for Labelexpo Global Series, said: ‘We are absolutely delighted with the overwhelming success of this year’s Labelexpo India. The fantastic visitor number surpassed all our expectations, and the sheer volume of sales achieved over the four days showed how valuable the show has been for generating new business. It is also resounding proof that the Indian label and package printing market is booming, with printer demand for new technology and innovation moving at an incredible rate. ‘The Brand Innovation Day was intended to bring brand owners closer to the technology providers, allowing them to gain a competitive edge by understanding trends across a wide range of fields from digital printing and workflow to new materials,’ said Andy Thomas-Emans, strategic director of the Tarsus Labels Group, and who chaired the half-day event. The session was opened by Chakravarthi AVPS, global ambassador of the World Packaging Organisation and CEO Ecobliss India, who looked at macro trends in the global label and packaging market. Sukhdev Singh Saini, packaging lead, AMEA at General Mills, looked at designing products for sustainability, while Avinesh Jain, packaging engineer at SC Johnson, considered different anti-counterfeit strategies, both overt and covert. Kanchan Bhargava, senior brand manager at Twinings, explained how the company had used design ‘English’ design cues for brand building its re-launched tea range. Gagan Talwar, packaging manager Reckitt Benckiser talked about how his company is looking to exploit digital printing technologies. A panel of suppliers representing Avery Dennison, SMI, HP Indigo and Esko, then answered questions on a wide range of issues, including one from the floor on what actions a brand owner should take to make the most of digital print capabilities. John Winderam, general manager SEA & SA at Esko, emphasized the importance of automating the pre-press and approval processes as a response to increasing numbers of SKUs and shorter product life-cycles. Ajay Mehta, managing director of India-based materials supplier SMI, stressed the importance of adding value through the PS label specification process, while Parag Bagade, head of technical marketing, South Asia Pacific and Sub Saharan Africa, Avery Dennison, talked up the opportunities opened up by RFID and other interactive label technologies. Asahi Photoproducts exhibited for the first time at Labelexpo India. The company showed its AWP family of water-washable flexo plates featuring Clean Transfer Technology, including its new AWP-DEW plate with washout speeds claimed as 2.5 times faster than previous plates, making it suitable for on-demand platemaking. Avery Dennison unveiled a new polyolefin-based conformable film, Flexiprint, developed by its India R&D team at its Pune Innovation and Knowledge Centre. It is available as a face material for both conformable tubes and semi-conformable containers. The company also launched a new topcoat, TC8000, with a stronger ink anchorage claimed to allow an increase in press speeds by up to 25 percent and cold foiling speeds by 20 percent. SnM Enterprises, the Indian agent of Chinese flexo press manufacturer Bengraphic, sold two F3 flexo presses, one each to Mumbai-based Barcom Industries and Delhi-based GRV Labels. Bobst showed the M5, a fully servo-driven in-line UV flexo press able to process most substrates used in the production of labels and packaging. The configuration of the M5 on show featured several digital technologies that are part of the company’s Digital Automation program, including Revo 7-color extended gamut printing and the Digital Flexo and DigiGap systems for digitally automated print and die-cutting pressure control and print quality/ pdf control. Capri Coating Solutions exhibited its range of products involving paper, filmic and specialty substrates with customized adhesives. Korean manufacturer Dilli demonstrated its Neo Picasso UV inkjet press while exhibiting for the first time at a trade exhibition in India. DPR showed Virgo, a compact desktop finishing system. On the Konica Minolta stand, it showed Scorpio SCR35PL, an all-in-one system which unwinds, laminates, digitally die-cuts, removes waste, slits and rewinds. The companies partnered for the show and are exploring a longer-term collaboration. Enercon exhibited the CoronaMax corona treater for improved ink adhesion. Esko announced four CDI sales. Delhi-based Abdos Lamitubes ordered a CDI Spark 2530 enabled with HD Flexo; Noida-based Uflex invested in CDI Crystal 5080 XPS and CDI Spark 4260 enabled HD Flexo Pixel+; Hyderabad-based Digiflex ordered its second Esko CDI Spark 5080; Bengaluru-based Sai Enterprises invested in a CDI Spark 4260 flexo imager. Flint Group demonstrated the full range of its imaging, printing and workflow products. The company sold a Xeikon 3300 press during the show. Fujifilm Sericol launched Sericol JJ UV LED inks in India. Rajesh Gandhi, general manager, said: ‘We see more footfall this time and it is a better show. Printers who have installed new machines have visited the show to see new technology. We are pleased with the response received.’ GEW showed its range of UV curing systems. H.B. Fuller launched Swift Melt 1908 hot melt pressure-sensitive adhesive. HP unveiled HP SmartStream Collage, an automated variable design for HP Indigo printing. The company also showcased latest tools and innovations for digital printing of labels, shrink sleeves and flexible packaging including systems for workflow, printing and converting, along with a range of applications from worldwide converters that use HP Indigo’s Liquid Electrophotography (LEP)-based digital printing. HP sold its 6900 press at the show floor. Hyden Packaging collaborated with Futec Japan to launch the new FH400B slitter rewinder, a bi-directional machine with 100 percent inspection. A bottle manufacturer from Jammu, Modern Propack, ordered a FH400B slitter rewinder during the show, alongside its purchase of an Omet iFlex, its first flexo press. IEEC introduced its new generation Ozonash and Lab Corona Treater. Ozonash is an ozone destruction unit which converts ozone into oxygen. The Lab Corona Treater is designed for research laboratories and low volume production. IST Metz, with its exclusive distributor Royal Coat, showed its LEDcure SCR system for the first time in India. Supplied by IST in collaboration with its subsidiary Integration Technology, LEDcure SCR is a specially designed retrofit for rotary and flexo presses. Kocher + Beck showed its ranges of dies and tooling for the label industry. Mumbai-based Numex Blocks ordered a Kodak Flexcel NX 5080 system. Konica Minolta showed its AccurioLabel 190 digital label press with an in-line Brotech rewinder. The digital press manufacturer – which recently reached the milestone of 250 digital label press sales globally – has had a presence in India for the past seven years, though only began selling its digital label press in the country at the beginning of 2018. Given the trend of commercial printers moving into label production, as well as increasing interest in digital technology from traditional label converters, Konica Minolta sees great potential for its digital label press in India. Lombardi, alongside its exclusive India distributor Vinsak, sold four presses during the show, adding to its 20-strong machine installation base in the country. ‘India represents one of our main markets because is so reactive towards our technological innovations,’ said Nicola Lombardi, marketing manager at the Italy-based manufacturer. On display was the Synchroline 430mm press equipped with a Toro hot foil and hologram stamping flatbed unit, which can also be used for cutting and creasing carton boxes, and a Synchroline 530mm 8-color press featuring an OverLap unit which was running flexible packaging and 3-layer labels. Chinese inspection specialist Luster LightTech Group made its debut at Labelexpo India. It has appointed Weldon Celloplast as its local agent, and now has two systems installed at Indian converters. Flexo Image Graphics sold a Mark Andy Performance Series P5 press to Mumbai-based Barcom Industries. Monotech Systems sold five Jetsci Colornovo UV inkjet digital label presses and five VSRI (variable data printing, slitter, rewinder and inspection) systems. Jetsci Colornovo was launched at the show and booked by Mumbai-based Barcom Industries, Kundali-based Wonderpac India and a printer in Italy. An existing customer in China ordered two. Three VSRIs were booked by Noida’s Holostik India, and one each by security printers in south and north India. Multitec sold two presses: a 450mm wide, 8-color S1 full servo press to Westflex in Africa, and an 8-color semi servo E1 press to Mumbai-based Stallion Printers. NBG Printographics demonstrated its Starflex flexo press. Nilpeter demonstrated its new generation FB-Line, the FB-430 with 16in web width combining flexo, gravure, hot foil and cold foil, as well as its Gravure Unit and FP-4 unit for hot foil and embossing. Jakob Landberg, sales and marketing director, Nilpeter, said: ‘The Indian label business has matured considerably, and people came to see new opportunities and broaden their horizons by looking into flexible packaging. We also found that the show has gone from being local to more regional with visitors from the Middle East and Africa.’ Gujarat-based converter Novelty Creations invested in an 8-color Nilpeter FB3300 press as the offset printer looks to diversify into roll-to-roll label production. Other exhibits at Weldon Celloplast’s stand included a range of flexible and magnetic dies from Lartec, Spilker’s MicroGap anvil for micro gap adjustments to enable fine die-cutting and enhancing die life, and Luster inspection technology. Brotech Graphics from China also exhibited a DL330 die-cutting machine suitable for in-mold labels, label finishing, converting and quality inspection. Pantec displayed flatbed hot foil embossing system Rhino IIS, and rotary high-speed hologram and lens insetting systems Swift and Cheetah. PGI Technologies showed a 5-color Preciflex Stallion flexo label press. Phoseon Technology displayed its range of UV LED curing systems. Polyart displayed its patented Tamper Evident film that allows for immediate delamination and easy printing with all TT ribbons, and introduced a new range of in-mold labeling films for blow-molded containers. First time exhibitor Rhyguan, a Chinese finishing equipment manufacturer, sold two machines and received ‘several serious enquiries’. Schobertechnologies showed rotary punching and die-cutting equipment for the label and packaging converting industry. Screen formalized the sale of India’s first Screen Truepress L350 UV inkjet press at Labelexpo India 2018. It will soon be installed at S.Kumar Multi Products in Ahmedabad. To complement the new machine, S.Kumar has also invested in a Zonten finishing line that comes with a varnish unit, cold foiling, sheeting and intermittent die-cutting. Tresu Group presented its ancillary program of automatic ink supply and chamber doctor blade systems for flexo label and packaging presses, including the new Tresu FlexiPrint Reservoir SAVEink chamber doctor blade for narrow web flexo applications up to 800mm wide. With an integrated high-capacity reservoir, the SAVEink chamber doctor blade is meant for process and spot colors as well as high ink transfer printing, without the need for a connected pump. It is suitable for long and short run production; ink may be added to the reservoir without stopping the press. UV Graphic Technologies launched new 8-color, fully servo-driven, automated flexo press, UltraFlex UFO. The machine on the show floor was equipped with corona treater, double side web cleaners, soft tension control for films, auto register, 100 percent defect detection system, chill drums, hot foil, cold foil, peel and seal, and a hybrid drying system capable of conventional UV, UV LED, hot air and IR. The press was printing on multiple substrates including 12-micron BOPP film, shrink sleeves, polyester film, in-mold labels and pressure-sensitive material with movable in-line hot foil stamping. The company sold a 9-color machine to Pune-based label and packaging printer Hempra Multiprints. Pre-press trade house Veepee Graphics launched a new mobile app that provides live job status to its customers. Jai Chandra of Veepee Graphics explained: ‘The customer gets real-time information of the artwork from the time Veepee ERP receives a job till its dispatch. To facilitate this feature, the application has been integrated to the company ERP that is further integrated with Esko workflow.’ Features include job upload, billing, job archiving, delivery tracking and notifications. Vinsak launched a table-top rewinder machine for rewinding of printed material from roll-to-roll with label counting, and showcased new versions of its reel lifters, VRL 350 and 250. The company sold eight Vinsak USAR slitter rewinder, die-cutter and inspection systems into India, Bangladesh and East Africa. Chinese label machine manufacturer Wanji exhibited for the first time and carried out live demonstrations of its intermittent offset label press. Weigang Machinery, also from China, displayed an 8-color ZJR-330 flexo press and sold a machine on the show floor. Zonten, with its exclusive distributor S.Kumar, presented live demonstration of an 8-color flexo press, and reported two sales, one each to Indian Labels in Ludhiana and to Oasis Labels based in Kerala. Zonten also launched HMQ320, a high-speed flat-bed die-cutting machine that runs at 30m/min. 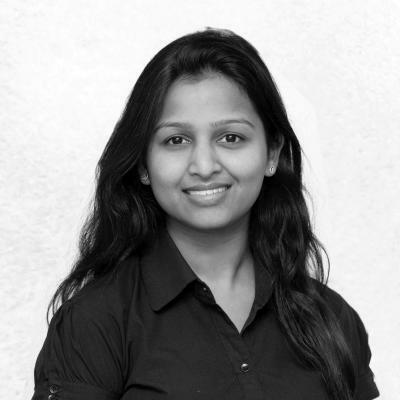 It was sold to Bangalore-based Aditya Barcode. Further press sales were reported by Arrow Digital, Brotech, Marks Print, Moksha Engineering, PGI Technologies, RK Label Printing Machinery and Webtech Engineering. ‘Therefore, people are moving towards more sophisticated machinery. Newer machines are capable of doing registration within 10 minutes, reducing wastages, and have shorter web path. Pressure-sensitive labels are becoming more cost effective. The Indian printer is also opening to investing in digital presses. We see growth being driven by end consumers and printers together,’ said Mehta. Many printers are also investing in inspection equipment that was not commonly seen in label factories until recently. Stricter regulations by the government, especially in the pharma industry, and demand for defect-free and high-quality labels by brand owners, has resulted in a surge in in-line and off-line inspection cameras being installed. Pankaj Bhardwaj, senior director and general manager, Labels Graphic Materials – South Asia, Avery Dennison, said: ‘The label industry in India has a strong correlation with GDP. PS penetration has improved, and more brands are moving to PS from other decoration technologies, although challenges remain in terms of costs. The segments that are growing include home care, e-commerce and general manufacturing, all sectors which reflect GDP growth. Sustainability is increasing in importance in the local market, with Avery Dennison launching a glassine liner waste recycling program in Australia, India and Thailand.